Maintaining an active donor base is the life blood of any nonprofit organization. Danna Olivo share her process for keeping donors connected. Danna Olivo is a Business Growth Sequencing Strategist and CEO of MarketAtomy, LLC. Her passion is working with small first stage entrepreneurs to ensure that they start out on the right foot and stay on the path to financial freedom. Known as the Business Birthing Specialist, Danna understands the intricacies involved in starting and running a successful business. Her efforts extend beyond the initial strategic planning process on into the implementation and monitoring phase. As an intricate component ingrained into her client’s business structure, she works diligently to keep her client’s accountable and on track to fulfilling their success goals. A graduate of the University of Central Florida’s College of Business, Danna holds degrees in both Marketing and Management Information Systems (MIS). 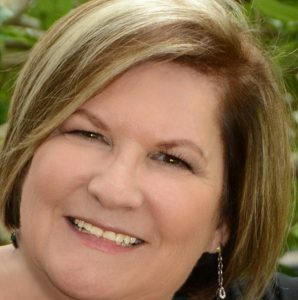 She brings more than 35 years of strategic planning experience in business, marketing and business development both nationally and internationally. Hugh Ballou: Welcome to The Nonprofit Exchange. Our guest today is Danna Olivo. First day with the new teeth. Danna and I have been colleagues for a while, and I have grown to appreciate her work more each time I hear her present. We are talking about sponsors and donors and how to really keep that relationship at the highest level because it’s good for them, it’s good for us. We just need to know how to do the talking and create a system around that. I am not going to waste any more time. I like for guests to introduce themselves, so tell us a wee bit, a couple of minutes, about your background and what prepared you for being able to do this powerful work on this topic. Before you finish, talk about why you chose this. What is your passion for this? Danna Olivo: Oh goodness. As Hugh said, my name is Danna Olivo. I like to call myself the Business Birthing Specialist. The reason that I go by that title is because I like working with early-stage and emerging entrepreneurs, whether they are nonprofit or for-profit. They are still in that birthing stage of their company. I am a business growth strategist at heart. That is backed up with more than 40 years in marketing, business development, and sales. That is where we get around to the experience that we are talking about: creating donor and sponsor experience. I work with for-profits and nonprofits to basically teach them how to build an infrastructure that attracts customers to their door and ultimately create an experience where they come out as advocates on the back end. That is where my background is. Hugh: You have taught at my live leadership empowerment symposium events. You and I are cooking up an event. We will do that again in Florida. We come to Florida on a regular basis. We are going to tag onto it a funding conference. Some of the stuff we are talking about will specifically be talking about fund sourcing and activation and maintenance for those running charities. It could be a church, synagogue, a membership organization, a cause-based charity. Any people doing, and really these are social entrepreneurs. That is still your sweet spot. Danna: Whether you are dealing with for-profit companies, nonprofit companies, churches, the thing to keep in mind is we are still dealing with a business. We are still dealing with entrepreneurs. We have to also keep in mind we are still dealing with customers. Whether they be sponsors or donors or customers or parishioners, they are customers. We have to keep that mindset when we are thinking about it. Hugh: You are so spot-on. We tend to think things are going to happen because we have a charitable cause. Not really. We are not really good at defining why it’s important and the impact of our work. We don’t really attract the money we deserve to attract because we are doing good work. We have a lot of different themes that we deal with in this episode. This podcast has been going on for three years. We have interviewed specialists like you who have brought some really good content. You are in good company as are they today. Danna, let’s set the stage a little bit. What is your passion for helping early-stage entrepreneurs get their head around this really important topic of donor/sponsorship? Danna: My passion stems from failures in the past. That is where a lot of my passion comes from. The mistakes learned and wanting to teach others how to avoid those mistakes. Working with small businesses, whether nonprofit or for-profit, but we are going to focus on nonprofit. When you start a business, a nonprofit business, it is cause-based generally. Cause-based businesses are emotional. You are tapping into the emotion. That is what you’re trying to do. Well, therefore, going after those customers, those sponsors and donors, you need to match that emotion to those sponsors and donors in order to get them to buy into your cause, right? Where my purpose is is teaching early-stage entrepreneurs there is a sequence to this. There is a sequence behind the research that has to go in to target those individuals that are more likely to emotionally buy into your cause, but also to understand what that messaging is that needs to be developed in order to reach those people. Not only on the sponsor/donor side, but what about on the other side? The people who are coming in that need your services, need your social platform. They need what you are providing through your platform. Hugh: In business, whether it is a nonprofit, you’re right. We need to install sound business practices in the charities or religious institutions we run. It is a business with more rules than a for-profit business. We are regulated with good reason. The people can give us money and write it off on their taxes for good reason, or sponsors can give us marketing money because we create value for everyone. There is a little different nuance for sponsors and donors. Let’s take the donor piece first. We ask people to donate and support a cause. This is what’s going to happen. Then they fall off by the wayside and they don’t donate again, or they don’t tell other people. What is the biggest problem you see, the gap that hasn’t been filled with people running an organization and managing these donor relations? Danna: Their structure. The structure that they put in place. It’s one thing to get those donors, to get those sponsors to the door. But if you cannot create that experience that I talk about, which involves the structure of the organization, then you are not going to be able to carry them through and create that experience that will turn them into advocates afterwards. Ultimately, that is what we want to do. We want to create our own sales team or our own promotional team on the back end because of the experiences that they had while working with our program. Hugh: Okay. I get that. That is theory. Turn it into practice. What does that structure look like? If somebody is listening to this and goes, “Wow, I need to maintain this relationship, but I don’t know where to start.” What does that structure look like? Danna: Oh goodness. You can start so many different places. First of all, you have to put yourself in the mindset of the sponsor or the donor. What are they looking for? What are their expectations? They are expecting to get out of this relationship that they are with you on. On the sponsor side, are there expectations to really create a brand out there in the marketplace by helping you in creating more of a brand recognition on the social side? On the donor side, are they really- Do they want to feel empowered by helping something they are really emotional about? What is it that they are expecting? Most of the time, what you are going to be looking at is they want to be appreciated. If they are not shown appreciation, or they want to see transparency, and especially on the nonprofit side because if they don’t feel as though their money is being utilized the way it should be utilized, and as promised, chances are you won’t get them back again. That’s what we want. We want these donors and sponsors to come back again and again, especially when we have to depend on federal dollars as well. Those federal dollars can be pulled at any time. Hugh: It’s really hard to get donors. We are competing with all these other charities out there. We want to have a process of maintaining that relationship. We don’t think about the donors until it’s time to donate again, and then we send a panicked letter saying, “We need your donation for next year,” but we haven’t talked to them all year. Danna: That is it. That is what I am talking about. They want to feel as though they are appreciated. They want and expect you to keep them in the loop. How are their dollars doing? What’s happening? Show them the results. Give them the statistics. Danna: You need to consistently be communicating with them. You need to show them what their dollars are doing as far as your cause. What are those statistics? How many of those lives are you affecting? How many people are you helping with the dollars they are giving you? Hugh: Why are those important? Danna: First of all, consider the fact that they are giving because they are passionate about their giving. They want to make sure that you are using their money to make a difference. That is one reason. They are passionate. This is their way of contributing. If you are not being transparent about it, they will go somewhere else that is doing the same thing in hopes they will be doing better. Danna: A perfect example is my husband and I like contributing to the Smile Organization, primarily because we had relatives in the past that have had cleft lips. There is an organization out there that helped those who have deformed lips, cleft lips, that create these smiles. These are children. It really means a lot to us when we see one of these children being able to smile again and feeling good about what has happened after one of these surgeries. These surgeries don’t cost a lot in these foreign countries. Hugh: That is such a great example. Several times in my life, I ran with the Leukemia/Lymphoma Society and pledged to raise a few thousand for leukemia and lymphoma research. At the race, I was connected to a particular patient with a wristband. It had their name, age, and condition on it. I was running for one person, but also for others, and I felt really purposed. Going back to the people who donated for me to run, they were betting on whether I would finish or not I’m sure, but they donated that few thousand and I did the running. We’ve been joined by the good-looking Russell Dennis in Denver, Colorado, and he just snuck in. He has experience in the funding seat for 11 years. Is that right, Russ? Russell Dennis: It is good to see you, Danna and Hugh. Danna: Haven’t seen you since the last time we were on together. Russell: That’s been far too long. With donors, one thing I find with people is that there is something magic about face-to-face contact. If you can have some non-ask events where you are not asking for money, just bringing them in to meet some of the people who are benefiting from your dollars, have them tour your facility, talk to other people, show them the exciting things their money is doing, and keeping them in the loop. Some people are going to want to be contacted more than others. It’s having a system to keep track of people and keep those connections. It is really something that if you can, you should have a single person try to keep the flow going. A director will do a lot of the face to face, but you want somebody to keep that communication loop open. Danna: That’s what I’m saying. You need to communicate with them. Involve them in the process, show them how their dollars are working, and help them be involved in it, as far as that’s concerned. First of all, the donors aren’t mind-readers. If you are not communicating with them, they are going to assume, and you don’t want them assuming. You want them to feel comfortable with where their dollars are being spent, and that they are making a difference. Am I right, Russell? Danna: Serving on one of the boards of a local nonprofit here, one of the biggest things that nonprofits do run into is the budget cuts with federal dollars. I was sitting in on the board of Hope and Help, which is HIV/AIDS awareness. One of the biggest struggles we had was the fact that the other agencies like ours were fighting for these federal dollars. We didn’t really have in place any kind of public in-flow, or what we did have was very little. All we had was one major annual event that we did. That event only happened once a year. The dollars that we have to spend on expenses happen every month. That is where these sponsored dollars and donor dollars come in. Why should we have to rely only on federal money, which constantly is being cut back, and we never know we are going to have it year to year because there are other agencies fighting for it? How do we build those relationships with donors that we can count on every year? That is where we are going with this. Through transparency and by creating that donor experience that we can count on every year because we are meeting each other’s needs on both sides, that is where we are going to be able to overcome that issue of the gap between the dollars we need and the dollars that are coming in. Hugh: That is the consistency. There is a rhythm to the communication. What is the mechanism you suggest people stay in touch? I think sending an email occasionally is not the answer, is it? The first is S, which is scalable. What I mean by the S in service is deliver an awesome donor experience that scales as your company grows. This involves knowing your donor. How do you make their giving decisions? How do they make their giving decisions, and understanding that? This is where this research comes in. Why would they donate? The E is for Essential. What that is, today there is no shortage of tools available for gathering predictive data on sponsors and donors. The problem is getting that data is not enough. You need to understand and know what is happening in the background. What is the chatter going on in the background that really speaks to what is really important? Most of your research is built around the dollars that are given. Most of your primary research is based on dollars given in this event. There is chatter that happens out in the ether. What we call is deep data mining. We need to understand that and monitor that and combine that. R is for Relatable. What relatable is is when you are in the fundraising mode, it’s important to listen and understand what motivates your donors. What is important to them? V is for Valuable. Intuitively, most people recognize the value of great customer service or donor service, but what are the causes? Causes that deliver value are ones that the sponsors will want to interact with. We want to create engagement. They will become more loyal as long as they can become engaged. This is where we get back to what we were talking about before as long as communicate with them, get them involved, invite them in, hold events that you’re not trying to gather their money but are bringing awareness. A perfect example is I have a 30-year-old niece who has Down syndrome. Because of this, I find myself being drawn to organizations that are committed to creating healthy independent living spaces/environments for individuals with Down syndrome. Some of those, what they do is provide a lifestyle where these individuals are creating and giving back to society. Those are the kinds of organizations I get involved with because they are close to my heart. It’s important for us to be able to relate to why the donor is giving. I is for Involvement. The donor experience involves a top-down approach. This is key. When the donor gives, they want to know that they are giving to the organization, and that it’s being recognized from the very top, not just from the people who are the representatives. They want to feel as though they are recognized from the top, from the directors of these organizations. Does that make sense? C is for Credible. This is a given. Trust is the backbone to credibility. It’s important that you do what you say you are going to do and when you say you are going to do it. Be consistent in your promises. Be transparent and communicative with sponsors. All of this is a given. We have known this all along. This is what comes with credibility. Finally, E is for what’s Expected. Deliver what they expect. We talked about that earlier. Did you make them feel valued? Did you treat them like they are important? Did you anticipate their needs for giving? Did you make them? Make it easy for them to engage. This is another thing. If you don’t make it easy for them to donate, they won’t jump through hoops. Did you show them that you cared? Did they feel loved? These are all important. These are the seven steps that I see that need to be built into the structure that will develop that donor relationship that will keep them coming back time and time again. Hugh: I remember that model. Give us the acronym again and the words. Danna: SERVICE. S is for Scalable. E is for Essential. R is for Relatable. V is for Valuable. I is for Involvement. C is for Credible. E is for Expected. Hugh: This sounds like she’s got a page out of your playbook, Russell. Russell: She has her own playbook, and it’s wonderful. That is one of the beauties of talking to brilliant people like Danna. I learn more all the time. You can never learn too much. It is creating that experience and value. That is seen to be a dirty word around charities. Nobody would use the word “value,” but you are in the value creation business. That is what it’s all about. Danna: Like I said, it doesn’t matter if you are nonprofit, for-profit, whatever. Ultimately we are not here to make money because that is not generally what a nonprofit is all about. A nonprofit is creating an environment that helps others, whatever it is, but it takes money to do that. Therefore, you have to find that money. Russell: We get stuck with so many bottom lines because you have funding agencies, foundations, individual donors who come in all shapes and sizes. You have regulators, media, clients. You have all these bottom lines, and everybody has a different thing that is most important to them. It’s juggling all of that is at the center of relationship building. It’s asking questions. It’s talking to people, keeping them informed, asking them what they want to see more of, what they like, what we should keep doing, what we should stop doing. It’s just constant contact, which is the name of the game. Danna: Most nonprofits get so wrapped up in the cause that they don’t worry about the business side of things. I wouldn’t say they don’t worry, but they don’t think they need the business side of things because they are so wrapped up in the cause that they think putting the cause out there is going to attract. That is not necessarily the case. You have to treat it just like a business. You have a message you have to put out there. You have research you have to do to find out who is most likely to contribute financially to the growth of this cause, of this nonprofit. Who are the organizations that we can count on as sponsorships to support us when we need it? All of those- There is a science behind it. There is a science behind growing nonprofits as well as for-profits. Hugh: Before we switch over to the sponsor track, Russ, he is the one that asks the real hard questions, Danna. Have you got a question or comment for her besides what you have already said? Russell: I was thinking about sponsors versus donors but we are getting ready to roll into that. The one thought I did have was with starting a nonprofit or socially responsible business, it’s our baby, and we love it. We birthed it, we throw it over our shoulder, we burp it, and we can really get lost because the important thing is what other people who are impacted by the organization value is not necessarily what I think is valuable. It’s what the people I want to try to serve think is valuable. There are so many different ones; that’s where it gets complicated. Danna: It is very complicated. I think Hugh will agree with me: You can’t rely on just one source. You have to integrate the levels. It’s almost like having different revenue streams. Even in the for-profit side, I tell my clients not to rely on just one revenue stream. You don’t rely only on funding grants. You don’t rely only on certain things because what you will find is those grants will be yanked, and you won’t have it coming in anymore. You have people to pay, clients that are yours that you promised services, and now you can’t afford to deliver. You have to develop a diversified approach to bringing money into a nonprofit, from the donor side, from the sponsor side, even legacy. Look at legacies. Get people involved enough to where they are so passionate about it that they will leave you mentioned in their wills. Those kinds of things. Russell: What makes it more challenging is it’s important to have those multiple streams, but only as many as you can manage well. It’s the phased and systematic growth with first things first that takes all of the planning and building of the right structure, the strategy so that you don’t get overwhelmed and you grow to all of these different sources. You need as many as you can, but only as you can manage well. Danna: You’re right. The other thing to keep in mind though when you are setting up your revenue streams, how you will bring your money in, you also need to be looking at what are your monthly expenses, what is it you need to have every month so that you can plan this? Even in a nonprofit, you have to have a cash flow analysis, a cash flow statement, because you can’t go on a wing and prayer. You still have expenses. You have services you have to deliver. It costs money. My son, I love him dearly, and he is extremely intelligent. All his life, he has wanted to live off the land. He does not want to rely on anything. Growing up, I always told him, “Sweetheart, I appreciate that. That’s great. How are you going to get the land? You need money. How are you going to get the seeds to grow your vegetables? You need money.” There is a science to it. You have to plan this stuff. Hugh: That is the anchor of this foundation underneath all of this. If you all are ready, let’s pivot over to the sponsor side of things. The donors are making a philanthropic gift. Their return on investment is a return on life that we give people in this sector, ROL. They want to see something happen. You’ve done a very good job of describing staying in touch with them, letting them know what the results are from their money. Sponsors are not making donations; they are spending marketing money because they want their brand associated with your brand. There are challenges with sponsorship. Talk about that channel a little bit and how to get top-of-mind with those sponsors and how to stay there. Danna: First of all, sponsorship dollars, when someone is sponsoring a nonprofit, they are doing it for a couple of reasons. First, the credibility, the connection to whoever it is they are sponsoring. Secondly, definitely for tax purposes. All of this other stuff. More importantly than anything, they are looking for a direct connection to whoever it is they are sponsoring and that brand that comes with it. The credibility, the recognition that comes with that sponsorship. To get those sponsors though comes that data we are talking about, the statistics. Most sponsors want to see that data of what your cause or what your platform has done. There has to be some kind of history there for them to feel good enough to be able to sponsor. Hugh: There is a negative brand reputation if your brand isn’t good enough. They want to verify it will give them a positive spin on their brand. Danna: As much as they can be connected to any messaging, marketing, whatever is going out, the better. If you have got a nonprofit and you’re developing videos and doing things like that, they want to be involved in that in one way or another as a sponsor. Hugh: There is a lot of similarities. Sponsorship is sponsorship. They want to see how many eyeballs, they want to create energy coming back to their business. In addition to what you have with the for-profit sponsorships, there is an affinity. Sponsors come on with something they have a passion for, or they want to see what happens or there is a philanthropic piece to the sponsorship. It’s still their marketing dollars, but they have an emotional piece. There is some rules around sponsorship, like we can’t do a direct call to action for a nonprofit. There is that IRS category of unrelated business income that then becomes taxable. There is a different protocol on the back end, but we are still representing the brand and the brand value and the brand promise and the brand identity to the sponsor. Continue. This is helpful. Danna: One of the other things that most nonprofits don’t realize is it’s most known for the for-profits sponsoring nonprofits. The nonprofits are looking for the for-profits to bring money in. What they are not taking into consideration is they can bring going out. For instance, with our funding conference that you’re a sponsor of, Hugh, SynerVision Leadership, in order for me and my company to be able to go out for community dollars, I needed a nonprofit arm. That is where that value can come in with a nonprofit, and there is another income stream that can come in by doing that, by partnering synergistically, strategically partnering. Hugh: We have some relations in how the money flows, but that is why you have good accountants to help you set up those systems. Money is a value exchange. We are not really good at describing the value. I see a lot of charities get sponsors, and they put up a banner, put their name in the program, and mention them. There is not a lot of value received for a sponsor, and there is no checking expectations, how this fits into your overall marketing plan. Give us more ideas as to how we can create that lasting relationship with sponsors. Danna: That is where we go right back to what we are talking about on the donor side. We need to understand what their expectations are. What do they expect out of this sponsorship? Are they looking to participate? Are they looking to just have their brand brought in? We have to look at what their expectations are. What are their needs? They may have specific needs they are looking at with their sponsorship. Are they looking to bring into an environment that may need their services, either legally or financially or whatever? They may be sponsoring because it will introduce them to a different market that they could bring in as clients. We have to look at, and we have to understand what their expectations are in order for them to keep coming back. Hugh: Russ, I bet you are liking that one. Russell: It’s true. What we are talking about here is a value for value exchange. With the nonprofit, money is very important, but it’s not everything. It’s the reason that the nonprofit is set up for. What is that value you can exchange? What is the sponsor looking for? Do you have a synergy where your values are concerned? Are you going to expose them to new customers? This is a metric we are talking about. How much media exposure are they going to get? We are talking about good will. We are talking about more bang for the buck. If they run out of sponsorship money, if they like what you’ve got, they will dip into some marketing dollars because you could actually get them a lot more bang for their buck. You have to understand as you approach a sponsor if you can do that. There is an art to it. You have to have a conversation with them. Is it possible that you can have a multi-year agreement? If you are going to go in and talk to them, you might as swell swing for the fence instead of having a one and done. Try to build that relationship and see what makes sense. Put some markers in there so that you can grow it. You want to keep these folks coming back. There is a difference. A lot of people mistake sponsorship for donations. They will go out and talk to businesses. We have this event, we’d like some auction items and these types of things. You have donations on one hand and sponsorship on the other. A donation is something they just give you. If they are looking for a value-for-value exchange in a pure sponsorship, they will look at who else has sponsored you. One question they will have in their minds is: Let’s take Apple and Google. You go to Apple and say, “I have this event.” It could be an event where you try to bring in people, and you want Apple to be a sponsor. One question they are going to have is if we don’t do this, will Amazon do it, or Microsoft, or Google? They may want some exclusivity. You never know. That would be a darn good problem to have. Danna: Yes, it would. Definitely it would. But you are right. Understanding what their expectations are, they get hit by nonprofits all the time. They have to weigh the value that is coming out of their sponsorship dollars if they are going to be giving away. How will that benefit me? Am I going to be fighting against competition? Am I going to be fighting against my morals, my culture? Does it match? Us as a nonprofit have to be looking at that before we even approach them because those are the questions they are going to ask. If we are not prepared to answer them ,chances are we will lose them. Russell: From what I have learned from other people who have been successful at getting sponsorships, some of what they do is approach people. They do their homework, a lot of research, and they try to approach the right people. They ask questions. People approach grant funders in this same manner. Building the relationships, looking at who might be a fit, and actually reviewing their website, reviewing whatever medium/material you have available, and calling a program officer, calling the appropriate person at the headquarters to ask them for a short informational interview. Do your homework so that you are not asking them stuff that is readily available. That will put a dent in your credibility off the bat. You ask questions to find out what is not between the lines. What is not written to get a feel for what sort of stuff they look for, what they are proud of, what did you do that worked, and ask what events they sponsored before. If it looks like you can deliver something that might be important to them, ask them if you can send them a proposal. You’re not sending something blind. Doing that with private foundations saves you a lot of time, especially if you don’t have a lot of resources or grant writers to go do it. Having those conversations, they remember you. You might have to make some adjustments in your language. You don’t want to shift who you are and what you’re about and what you’re doing, but you may need to adjust the language to put it in the proposal to persuade them to fund you. Danna: One thing I have run into in the past if you are starting a new nonprofit or are in the early stages, oftentimes you will find that some nonprofits will try to beef things up in their proposals over and above what they are. It needs to be understood that you are going to be vetted. It’s important that you are credible and transparent in everything that you do. Otherwise, you’re going to lose those sponsorships, those donors, anything that you are going after. This is what a lot of nonprofits run into sometimes; they are not able to back up, whether with social proof or data, they are not able to back up what they are all about. I have started a nonprofit, and that’s it. This is where you run into issues sometimes when you are trying to raise money for a nonprofit. It’s tough. Just like with a for-profit business. In the beginning, you are doing it out of pocket. You are self-funding quite a bit. Hugh: You want to stop that though. What you are hitting around is that we need to be professionals at running the organization. Hugh: A lot of cause-based charities, people have expertise or passion about the cause and zero ability to run a business. I encourage those people to get an admin or an executive director. What I have started suggesting that organizations do is create a position called a funds strategist. They look at your road map, your strategic plan, your solution map that says where you are going to be and how you are going to get there. Then we have targeted budget items for those one or two years out. Danna: This is where a cash flow statement comes in. A cash flow statement, when you think about it, is you are breaking down your revenue streams two years, three years. What you are doing is breaking it down on a monthly basis so that you know what your goals are to meet your expenses. Hugh: We don’t do that. What we do sometimes is a cash flow analysis, which is the rearview mirror. What we need is the cash flow forecast, the headlights. We don’t think about that a lot. We get this lump of money. We raised some money at an event. What you are talking about is we talk about when it’s going to run out. When we are making presentations, we want to talk about use of funds, what the impact is going to be. We measure that. If you’re good at it, and Russell talked about the value exchange, we are going to attract more money if we are really good at attracting the first money. There is a skill in learning how to make the presentations and attract the money. We don’t give equal time to that. It’s like we build a car. We build this great thing, and we fill the seats with our team members, but we don’t learn to drive the car and we haven’t put the gas in it, which is the money. Danna: The other thing to keep in mind, especially on the cash flow side, is the reason we deal with it is a lot of nonprofits depend on donors. They get donor promises. Those promises don’t come in right away. It’s important to understand on a cash flow statement those donor promises are not going to pay the bills until those checks come in. That is where I talk about let’s make it easy for them to donate as opposed to making a promise, and then we have to keep chasing them for the dollars. Let’s make the process easier until we get those donation dollars or sponsorship dollars in. Hugh: When they do a pledge week at NPR, they say, “Give us your card, and you can do a recurring donation.” You will give every month. They go for the monthly recurring smaller donations rather than bigger lump sums. Danna: I think that’s probably better in a way. You know what’s coming in every single month. Hugh: It doesn’t mean we ignore them. We may need to create the program you’re talking about of staying in touch. A funds strategist will create funding programs to support the strategic plan, your targets and budgets for each state of your development, and then your cash flow statement projects how long the money that you raise is going to last. You will run dry if you don’t have that recurring revenue. Sponsors are unique. We will do a whole show on sponsors here soon. It’s a very unique pathway. You talked about multiple streams of revenue. There are eight, not counting real estate. Donors and sponsors are right at the top. Those are dependable, regular. Typically, grants are for special purposes. If you do a good job with a sponsor, you have asked what they want, and you create results for them, then there is no reason for them to stop. This service piece that you are talking about is actually essential for regular recurring revenue, isn’t it? Danna: When you think about the number of nonprofits fighting for the same sponsors, it’s not as if they don’t have enough organizations wanting their sponsorship dollars. How are you going to keep yourself at top of mind as far as these sponsors are concerned? This is where meeting their expectations and understanding that is how you are going to keep them with you. They are going to turn around and convince others to come in as sponsors. That is what the sponsorship service, the relationship you are developing, that is what the end goal is: keep them in the pipeline and have them turn into your own advocates on the back end to create more sponsors for you. Hugh: That is so well-put. Do you have any questions or comments for Danna, Russell? Russell: One of the things that I would ask or that people talk about in the question I get—I don’t always have a good answer for it. Very new nonprofits, what is the best way for them to approach obtaining sponsorship? On what scale should they aim for? Hugh: Told you he had the hard questions. Danna: I have dealt with a few very early nonprofits as far as that is concerned. Oh goodness. What is the best approach? Relationships by far. You have to have those relationships. You can’t just go in and say, “Look, I have started a nonprofit. This is it. Are you willing to donate or sponsor me?” Those relationships are critical. The other thing is really look at what your needs are from the sponsors. Match up those sponsors first before you approach them. Start to develop those relationships. If you need media, printing, marketing, all of that, look at what your needs are because if you are very early-on and you try going to an Amazon, chances are you won’t get it. Go with your local companies. Go with the people that network with you. Go out there and network. Do some events, some free events, like walk-a-thons or something to that effect where you can get people involved and bring donations in that way. Through that, then the sponsors are going to be more apt to donate some dollars because they are branding themselves. Hugh: Wow. That is a lot of good stuff, Danna. You have hit on some really important topics today. Really rich content. What do you want to leave people with? A tip, a thought, a challenge? What do you want to leave people with? Danna: The biggest challenge I want to leave people with is one of the biggest challenges I fight all the time with my clients: think before you jump. Think before you jump. Think about the process. Think about the sequence. Think about the strategy behind what you are doing before you jump. When you are dealing with limited dollars, you don’t have dollars to waste. You want to make sure that those dollars go as far and as efficiently as you can make them go. The only way you will do that is to think about what you are spending those dollars on. Hugh: Very sage advice. Russell, thanks for joining us. Danna, thank you for the wonderful, useful content today. Danna: You’re welcome. Thank you. Nice talking to you again, Russell. Russell: Always a pleasure. Keep on keepin’ on.